Christopher with Multi-Billionaire Founder of Evolv Mr. Trey White.jpgThe first posts in this thread are drawn from http://www.realscam.com/f9/trey-whit...cer-center-86/. I believe investors and citizens need to know the facts about Trey White and Marlin Atlantis. EarthQuest I had hoped would really be the brainchild of "Dino Don" Lessem. It could have been an incredible place for families. It will never get off the ground or be properly if these buffoons are allowed to continue running wild with this. 7.5 million in bond money has been spent and investors are throwing money at this thing. The business background and qualifications of these folks should have been looked at much more carefully before this thing got this far. Christopher with Multi-Billionaire Founder of Evolv Mr. Trey White. Hello, my name is Christopher Paul Mitchell. I'm a part of Team T.O.P.G.U.N. EXP in Evolv. I created this website to show everyday, normal people just like myself how to get rich in a home based business. 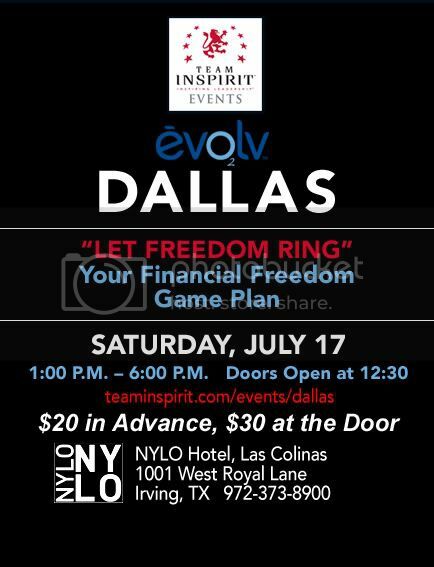 I don't care if you're black or white, young or old, male or female, a high school dropout or a college graduate, my team and I can help you become wealthy with Evolv. I grew up in what some people would say is a challenging life. My parents divorced when I was just four years old. My mom died of radiation and chemotherapy when I was nine years old. My abusive father kicked me out of the house at the age of fifteen. I used my life savings ($550) to buy a plane ticket and I moved to California at the age of eighteen. I've lived in my car; I've lived in a motel with roaches in the bathtub; I've lived in a friend's garage on the concrete floor; and I've even been homeless before. So, if you've been through a lot in your life, trust me, I can relate to you. I was dead broke for the first twenty five years of my life. One unforgettable day in Santa Monica, California I met an amazing man by the name of Sal Williams who changed my life by introducing me to Network Marketing. Not only is Evolv going to become the fastest growing Network Marketing company of all time, Evolv is also going to grow faster than ANY company of all time! Evolv is no joke! Founded by Multi-Billionaire Trey White it is our goal to make Evolv into a Billion dollar company within our first two years in business. The time to get envolved with Evolv is right now! As of March 26th Evolv is a brand new start up company on the ground floor. Timing in business is everything! The timing for Evolv is absolutely crucial. Now is your chance to become a part of a life changing, Billion dollar company before it hits critical mass. Join me and my mentor Robert Dean Jr. and let us welcome you to our Team T.O.P.G.U.N. EXP. Our goal is to create 500 multi-millionaires within the next few years with Evolv. We have a proven system in place that guarantees success if you can simply follow directions. Evolv is predicted to create more millionaires than Microsoft. Join our team and let us help you change your life. Pick up your phone and give me a call RIGHT NOW! I assume you boys can verify Trey's / Roscoe Frederick White's multi-billionaire status. I sure wouldn't want to have to prove that up in court! And, if those earnings claims don't pan out it could get very ugly! Contact Team Inspirit for event and ticket information. But wait! Something is missing. The lying scammers had posted about 9 multi-million dollar earners and a billion dollar earner and then they removed that fraudulent solicitiation when I e-mailed the Evolv scammers and informed them that all that was in the hands of the Texas Attorney General's Office. They also should clarify the million dollar prize is not being given out until this fall and not at this TeamInScamming meeting. Obviously, it isn't any problem to get tickets to this MLM scammers' gathering. I wonder if they will discuss the suit MD Anderson has filed against these goons? Using their name to promote a product of dubious value promoted pyramid style seems like grounds for a winning suit to me. We should see a lot more very scathing news coverage related to that! I demand the scammers substantiate those multi-million dollar earner claims. Who are these multi-million dollar earners. Folks that want more info about one of the named multi-millionaire earners are welcome to e-mail me and I will provide much more enlightening information! Testimonials, testimonials, and more testimonials. And, I am sending them to the FTC. Many any physicians are selling health-related multilevel products to patients in their offices. The companies most involved have included Amway (now doing business as Quixtar), Body Wise, Nu Skin (Interior Design), Rexall, and Juice Plus+. Doctors are typically recruited with promises that the extra income will replace income lost to managed care. In December 1997, the American Medical Association Council on Ethical and Judicial Affairs (CEJA) advised against against profiting from the sale of "non-health-related products" to their patients. Although CEJA's policy statement does not mention products sold through multilevel marketing, CEJA's chairman said the statement was triggered by the growing number of physicians who had added an Amway distributorship to their practice. Evolv reps have encouraged and recorded numerous such testimonials on their calls, webpages and ads. These fraudulent health claims are what a company like this depends on to sell the product. Even Trey White, the multi-billionaire who owns the company is in on the act. He is totally exaggerating the testing done at MD Anderson. And the reps are telling some incredibly fantastic stories to sell the stuff. Of course, they have a financial incentive to do so. Who would have known that milk protein, alfalfa and 5 enzymes would totally change modern medicine??? Let's get those complaints in to the FTC!!! Posted on May 27, 2009 by Jason Cornell, Esq. White Energy, Inc. ""White Energy" or the "Debtor"), one of the largest ethanol and gluten producers in the United States, filed for bankruptcy in the United States Bankruptcy for the District of Delaware on May 7, 2009. According to its Declaration in Support of First Day Motions (the "Declaration"), White Energy generated over $500 million in revenue in 2008. Based in Dallas, Texas, White Energy operates three ethanol production facilities in Kansas and Texas. White Energy produces both ethanol and gluten (an ingredient used by food producers) at its Russell, Kansas facility. As stated in its Declaration, the Debtor processes wheat to make gluten. White Energy uses starch, a byproduct from gluten production, in its ethanol production. By doing so, White Energy is able to reduce its overall costs to produce ethanol. In July of 2006, White Energy entered into a $298 million senior secured loan with WestLB as administrative agent. Leading up to bankruptcy, White Energy's lenders declared several events of default under the secured loan, including (i) a failure to pay property taxes, (ii) failure to make payments under construction contracts and (iii) failure to pay franchise taxes. White Energy tried unsuccessfully to get its lenders to agree to restructure its debt. Unable to reach an agreement with its lenders, White Energy soon filed for bankruptcy. White Energy entered into the ethanol industry in 2006. Since then, commodity prices have become exceptionally volatile with corn prices reaching double their normal price per bushel. At the same time that commodity prices reached historic highs, the oversupply of ethanol has kept prices low. The resulting low profit margins strained White Energy's cash flow, which in turn led to loan defaults and bankruptcy. This bankruptcy proceeding is before the Honorable Christopher S. Sontchi. Jason Cornell is a bankruptcy attorney at the law firm Fox Rothschild LLP in Wilmington, Delaware. If you have questions regarding this, or any other Delaware legal proceeding, you may contact Jason at (302) 427-5512 or jcornell@foxrothschild.com. Where Trey White / Roscoe Frederick White III made his money is indeed a good question. His business background is quite a story. According to Forbes magazine, there are 403 billionaires in the United States. I just looked at the list, and one thing is for sure . . . Trey White is not on it. There is the list where White would fall alphabetically. So, I am sure ol' Trey ain't no multi-billionaire either! More fraudulent MLM claims for the FTC and Attorneys General to enjoy! Trey isn't on this list of the Richest Americans either. MLM solicitiations are some great fiction writing, aren't they??? Let's take a look at Trey White's companies. He is said by Evolvers to be a multi-billionaire. Trey White, aka Fred White III, aka Roscoe F. White III is not Warren Buffett or Donald Trump. He was responsible for the homestore.com, which was a very successful company during the dot com bubble and then faced with a nose dive in the stock prices. Trey / Roscoe bailed out right before the dung hit the fan. There were several class action lawsuits and dishonest financial statements associated with that fiasco. Since then, he’s run a number of different companies out of one office which must have one very confused receptionist to be sure. Looking at the estimated annual sales for these companies as listed by Hoovers there isn't a snowball's chance in hell this clown Trey White is a billionaire, much less a multi-billionaire. Those companies have employees to pay, rent, taxes, company insurance, business supplies, electric, phone, marketing, wining and dining clients and much more. After all that his companies can't be generating him much profit with those paltry sales figures. And yet the tales of him being a multi-billioinaire persist. I am shocked Trey would continue this ridiculous scam with MD Anderson suing. It looks like lemmings over the cliff to me! In his role as Chairman of Marlin Atlantis White, Mr. White guides the control and management of the companies’ interests in real property and real estate development. In addition to real estate investing, his philosophy is defined by investing in forward-thinking solutions with an eye toward technology and first to market advantages. He was born a third-generation entrepreneur in Dallas. Understanding that being first to market is a huge advantage, he directed energy toward achievements that positioned him ahead of competitors in emerging markets. To date, he has placed capital of more than $1.5B into companies he founded or co-founded. Mr. White co-founded NewHomeSearch, a revolutionary electronic real estate listing service for Realtors® and new home builders, gained 100% penetration in the Dallas market within two years of inception and grew to ten markets with an innovative client-server-based application, NewHomeSearch, renamed HomeBuilder.com in 1996, created the first Internet portal for searching real estate listings, quickly expanded to seventy-five markets and became the official Web site of the National Association of Homebuilders. Mr. White oversaw the merger of HomeBuilder.com with Realtor.com and participated in taking the two companies public as HomeStore.com, raised $800M in two offerings, drove stock to $160 per share and resulted in an $11B market cap at its peak. In 2002 Mr. White began investing in multi-phased, single-family, residential developments and, in 2003, provided the start-up capital to form Marlin Atlantis. This new entity, under the direction of an outstanding management team, took advantage of low interest rates and strong residential housing markets in Texas. To date, Marlin Atlantis has entitled and/or developed eighteen residential communities, including five master-planned developments in major Texas markets. The enterprise has deployed more than $200M in capital and is one of the largest residential community developers in Texas, with more than 20,000 single family lots in inventory. Also in 2003, Mr. White founded White Energy, a company funded to take advantage of the high cost of oil, reduce dependence on foreign oil, and reduce carbon dioxide emissions from fossil fuels by building destination, fuel-grade, ethanol plants. In 2005, White Energy received its air permit to build in Texas, the first new facility created a destination plant trend that continues today in Texas, California, New York, Colorado, Kansas and Florida. White Energy produces 250M gallons of ethanol in three facilities, is the fifth-largest US producer and the largest Texas producer of fuel grade ethanol. To date, White Energy has deployed over $500M into renewable energy investments. ©2006 - 2009 Marlin Atlantis. All Rights Reserved. | Website Created by: DeWitt Marketing & TNT Media Productions, Ltd. The article tells of the accounting scandal in 2001. Trey / Roscoe White talks of going into residential development in 2002. So, it appears he was bailing from homestore.com just as the dung hit the fan. I notice he fails to mention that White Energy imploded into bankruptcy despite claims that he is a multi-billionaire. It is high time we check out multi-billionaire Roscoe Frederick (Trey White) and see just where these alleged multi-billions of dollars of which Forbes has no knowledge came from. Searching the names in those relationship charts linked above shows most of the LLCs listed don't even exist as viable businesses. They may be registered in Texas or Delaware, but searching Company Profiles & Company Information on Manta results in no hits. That suggest they are not active and generating any significant revenue. So, the question remains as to where the billions of dollars in Trey's name that qualify him and his reps to classify him as a multi-billionaire came from. No doubt the FTC, SEC, Texas Attorney General's office and many other agencies will be responding to the many reports I and others have made. I am sure they will be able to pinpoint where these billions came from! Who is Roscoe F. White? He is listed as an "officer" and tied to many of the "businesses" names on one of your links, Mom. Is he a relative? Deborah A Thomas.....same question...she is listed at the same address as Roscoe and ties to the same conpanies. LLC owners report business income and losses on their personal tax returns. An LLC is not a separate tax entity like a corporation; instead, it is what the IRS calls a "pass-through entity," like a partnership or sole proprietorship. All of the profits and losses of the LLC "pass through" the business to the LLC owners (called members), who report this information on their personal tax returns. The LLC itself does not pay federal income taxes, but some states impose an annual tax on LLCs. The IRS treats one-member LLCs as sole proprietorships for tax purposes. This means that the LLC itself does not pay taxes and does not have to file a return with the IRS. As the sole owner of your LLC, you must report all profits (or losses) of the LLC on Schedule C and submit it with your 1040 tax return. Even if you leave profits in the company's bank account at the end of the year -- for instance, to cover future expenses or expand the business -- you must pay income tax on that money. The IRS treats co-owned LLCs as partnerships for tax purposes. Like one-member LLCs, co-owned LLCs do not pay taxes on business income; instead, the LLC owners each pay taxes on their lawful share of the profits on their personal income tax returns (with Schedule E attached). Each LLC member's share of profits and losses, called a distributive share, should be set out in the LLC operating agreement. There was also a Scandirect at that same address years ago. I sure as heck don't see the deal that garnered anyone billions of dollars. Trey White, aka Fred White III, aka Roscoe F. White III ......He’s a guy who (alongside his dad) set up homestore.com, which was a big successful company during the dot com bubble and then fizzled into very little in the midst of plummeting stock prices, DOJ investigations, class action lawsuits, misleading financial statements and etc. Since then, he’s run a number of different companies out of one office, the only one of them that shows up often in third-party sources is White Energy, which as you’ve acknowledged, went bankrupt. Trey White and Evolv have done a great deal of work to make sure that their sites (or link to their sites, or postings made to point to their sites) are the only things that show up on web searches. Once you get beyond those self-generated hype pieces, there’s almost nothing about White or any of his companies online. There’s no independent verification of just about any of his claims, and when third parties chime in, they are generally — like MD Anderson — contesting White’s claims. A Fred / Roscoe White Jr. (Trey / Roscoe Frederick White III's dad) is mentioned in the SEC filing relating to taking the homestore.com public. It got him tangled up in this lawsuit which is referenced therein. Activity Date: 8/18/1999Participant: MOLINARE JOHNCASE MGMT CALL NOTICE MAILED Date: 9/21/1999Court Time: 0915Court Room: 2510Judge: GETTY, MICHAEL B. So what about our company? Our company is led by Trey White; he is a venture capitalist out of Dallas, Texas. He made his first mark on the business community back in the 90’s when he founded HomeBuilder.com. Now he merged that with Realtor.com and took it public from HomeStore.com with a $10 Billion dollar market cap — a pretty good day at the office! That led the way to Marlin Atlantis, which is 3rd largest residential land development company in the state of Texas with over 20,000 properties. Now that gave Trey the ability to invest $500 Million to create the 4th largest ethanol manufacturing facility in the country. So how did he do this? Trey has got the unique ability to spot the “disruptive technology” then align himself with the best of breed in management. And he has done exactly that with Evolv. The SEC filing about that is quite interesting. We can paly a rousing game of where is that White --- Trey / Roscoe Frederick White III. NETSELECT, INC. MULTISEARCH SYSTEMS, INC. So Trey White is nothing more than a shareholder in his dad's stuff. That hardly makes him the guy that took the Homestore.com public. The whole sordid mess ended up in the hands of Stuart Wolff who is now in prison. Former Homestore.com chairman and CEO Stuart Wolff was sentenced to 4 1/2 years in prison Monday after a judge rejected a plea by his lawyers for a lighter sentence. A plea agreement Wolff signed in January called for him to spend between three and five years in prison for his role in a scheme that artificially inflated Homestore's revenue in 2001. Wolff pleaded guilty to one count of conspiracy to commit securities fraud. Wolff's attorneys maintained that he should receive the lightest possible sentence possible under the agreement because he signed off on the scheme but did not initiate it. Homestore, which operates Realtor.com, rebranded as Move Inc. after other top executives were convicted of engineering circular advertising deals that the company later admitted inflated the company's revenue by nearly $200 million. In sentencing Wolff, U.S. District Judge Gary Feess said the Homestore scheme caused "widespread injury to untold numbers of people in the stock market," and was a "calculated deception of the public." Former Homestore executive vice president Peter Tafeen was previously sentenced to 27 months in prison; former Homestore chief operating officer John Giesecke received 12 months; and chief financial officer Joseph Shew 6 months. Before Monday's sentencing hearing, Wolff's attorneys argued that he was merely in a position to "green light" the fraud, while Tafeen was "the admitted master-mind and architect of the scheme" and Shew "the day-to-day implementer." Prosecutors said the relatively lenient sentences handed down to Shew, Giesecke, and Tafeen reflected their willingness to cooperate with the government in efforts to prosecute Wolff and others. Shew and Giesecke, they noted, entered guilty pleas and accepted responsibility for their actions eight years ago. A total of 11 defendants had previously been convicted in the case, including executives at companies that participated in the circular advertising deals that helped Homestore inflate its earnings. At a previous trial in 2006, Wolff, now 46, was convicted of more than a dozen criminal charges and sentenced to 15 years in prison. An appeals court reversed the conviction, saying the judge presiding over the trial should have recused himself because he owned stock in America Online, one of the companies that allegedly served as third-party intermediaries in the circular advertising deals. In the leadup to Wolff's retrial, his new defense team claimed it had uncovered evidence that employees of Homestore's accounting firm, PricewaterhouseCoopers, modified or destroyed evidence in the case. The accounting firm has said its employees "complied with professional standards," but prosecutors acknowledged "inconsistencies" in statements by the accounting firm and dropped four counts of the 23-count indictment pending against him (see story). The eight-year investigation and legal battles have "been draining emotionally and physically and will almost if not entirely wipe (Wolff) out financially," his attorneys said in a March 31 filing outlining their case for a light sentence. The notoriety and length of the case mean a three-year sentence would be a sufficient deterrent to others considering similar crimes, Wolff's lawyers argued, and also provide the punitive punishment called for by the law. Wolff's criminal conviction, "reported in the press and forever available in this Internet age, effectively brands him a pariah for the rest of his life," his attorneys said. Wolff's defense team submitted letters from relatives, colleagues and friends describing his conduct as "out of character" with his values and his "humble and caring upbringing." Wolff, who founded the company that would become Homestore at age 33, "is truly sorry for his actions, takes full responsibility for his conduct, realizes and feels devastated by the harms caused, and knows that he likely will live the rest of his life making amends for his misconduct," his attorneys said. The letters included pleas for a lenient sentence from Wolff's mother and father, his sister, his wife, and one of his sons. In their response, prosecutors said they did not dispute "the sincerity of the moving letters submitted by Wolff’s family and friends." But Wolff has displayed "selective memory" about his involvement of "the pervasive misconduct of his key lieutenants and their subordinates," prosecutors said, and was in fact "a key player in this significant financial scandal." Prosecutors were also unmoved by Wolff's claim that he was unable to pay more than $5 million in restitution. Wolff netted more than $8.6 million from sales of Homestore stock between April and August of 2001, prosecutors said. Until recently, Wolff has "consistently reported assets" of greater than $8 million, prosecutors said, but now claims the value of his Westlake Village home has fallen by 20 percent and that his hedge-fund investments are worth 60 percent less than previously reported. Judge Fees put off a decision on how much restitution Wolff will be required to pay. Prosecutors estimate Homestore investors lost $1.6 billion after the fraud was discovered -- a claim Wolff's attorneys say is based on an oversimplified analysis of the decline in the company's share price. There is no evidence as to how many shareholders sold how many shares after the fraud was revealed, Wolff's attorneys said, and the government made no attempt to determine how much of the underlying value of the stock due was artificially induced through fraud. Prosecutors countered that the law does not require them to prove the precise loss that each shareholder incurred during the period of the fraud. "It is obviously not possible for the government to interview all of the Homestore shareholders who bought or held the company’s stock during 2001 regarding the losses caused by the fraud scheme," prosecutors said. In a separate civil suit, attorneys for Homestore investors have collected more than $120 million in damages through settlements with Homestore, PricewaterhouseCoopers, and others (see story). Wolff is the final defendant in the civil case, with proceedings suspended pending the outcome of his criminal trial. Wolff's plea agreement stipulates that he should receive credit for any payments he makes in the civil suit and in another case brought by the U.S. Securities and Exchange Commission. "I'm glad he's finally taking responsibility for at least a portion of the fraud of Homestore," said Nancy Fineman a Burlingame, Calif.-based attorney representing Homestore investors. "It's kind of too bad he didn't 10 years ago when this all broke, like some others did." A scheduling conference in the civil case is set for May 11. "We are interested in seeking all from him that we can get," Fineman said before Wolff was sentenced Monday. "Whatever prison sentence he has, he will still be a fairly young man." Wolff has requested to serve his time at a federal prison camp in Santa Barbara County, Calif. -- the Federal Correctional Institution, Lompoc. He was ordered to begin serving his sentence by June 21, 2010. He will be about 51 when he is released. Obviously, homestore.com did fabulous thanks to Trey White. Keep bragging Trey and I will keep digging! As Chairman and CEO of White Ventures, Ltd., Mr. White guides the control and management of the company's interests in real property, real estate development, manufacturing, oil and gas, and technology. He is also committed to investment in the production of renewable fuel sources, both domestic and global. His philosophy is defined by investment in forward-thinking solutions that technology will accelerate, creating exponential benefits and new markets in global economies. NewHomeSearch, a revolutionary electronic communication tool for Realtors® and new home builders, gained 100% penetration in the Dallas market within two years of inception and grew to ten markets with an innovative client-server-based application. NewHomeSearch.com, renamed HomeBuilder.com, the first portal for searching real estate listings, quickly expanded to seventy-five markets and became the official Web site of the National Association of Homebuilders. The merger of HomeBuilder.com with Realtor.com took the two companies public as HomeStore.com, raised $800M in two offerings, drove stock to $160 per share, and resulted in an $11B market cap. Mr. White liquidated his equity position in HomeStore.com in the year 2000 and founded White Ventures, an enterprise created to invest in angel rounds, start-ups, emerging markets, and real estate development opportunities. In 2002, White Ventures began investing in multi-phased, single-family, residential developments and, in 2003, provided the start-up capital to form Marlin Atlantis. This new entity, under the direction of an outstanding management team, took advantage of low interest rates and strong residential housing markets. To date, Marlin Atlantis has entitled and/or developed eighteen residential communities, including five master-planned developments in major Texas markets. The enterprise has deployed more than $200M in capital and is one of the largest residential community developers in Texas, with more than 20,000 single family lots in inventory. Also in 2003, Mr. White founded White Energy, a company funded to take advantage of the high cost of oil, reduce dependence on foreign oil, and reduce carbon dioxide emissions from fossil fuels by building destination, fuel-grade, ethanol plants. In 2005, White Energy received its air permit to build in Texas - and the first new facility model created a destination plant trend that continues today in Texas, California, New York, Colorado, Kansas and Florida. White Energy will be the fifth-largest US producer and the largest Texas producer of ethanol when the 200M gallons of Texas production are online in 4th quarter, 2007. Mr. White has created and pioneered markets using a best-of-breed management team methodology - and he leads several organizations, charitable as well as for-profit, against which other companies and efforts are measured. His mental and physical cornerstones for success include surrounding himself with smart, experienced, respected individuals - at the top of their industries. He and his associates possess the ability to take measured risks, cultivate instincts for emerging markets, and demonstrate the acute market-awareness necessary for properly timed exits. He considers these aspects of business acumen "simple rules for a complex world, instrumental in stacking odds toward the probability of success." Mr. White’s philosophy is defined by investing in forward–thinking solutions with an eye toward technology and first-to-market advantages. He was born a third–generation entrepreneur in Dallas. Understanding that being first to market is a huge advantage, he directed energy toward achievements that positioned him ahead of competitors in emerging markets. To date, he has placed capital of more than $1.5B into companies he founded or co–founded. Mr. White co–founded NewHomeSearch, a revolutionary electronic real estate listing service for Realtors® and new home builders, gained 100% penetration in the Dallas market within two years of inception and grew to ten markets with an innovative client–server–based application. NewHomeSearch, renamed HomeBuilder.com in 1996, created the first Internet portal for searching real estate listings, quickly expanded to seventy–five markets and became the official Web site of the National Association of Homebuilders. Mr. White oversaw the merger of HomeBuilder.com with Realtor.com and participated in taking the two companies public as HomeStore.com, raised $800M in two offerings, drove stock to $160 per share and resulted in a $9B market cap at its peak. In 2002 Mr. White began investing in multi–phased, single–family, residential developments and, in 2003, provided the start–up capital to form Marlin Atlantis. This new entity, under the direction of an outstanding management team, took advantage of low interest rates and strong residential housing markets in Texas. To date, Marlin Atlantis has entitled and/or developed eighteen residential communities, including five master–planned developments in major Texas markets. The enterprise has deployed more than $200M in capital and is one of the largest residential community developers in Texas, with more than 20,000 single family lots in inventory. Marlin Atlantis is currently in the process of designing a $500M theme park in Houston, Texas named EarthQuest. EarthQuest will be the first mega theme park built in the US since DisneyWorld. Its unique position in the Houston market is projected to attract over 3M visitors per year and raise the bar in entertainment while delivering an eco conscious message. Also in 2003, Mr. White founded White Energy, a company funded to take advantage of the high cost of oil, reduce dependence on foreign oil, and reduce carbon dioxide emissions from fossil fuels by building destination, fuel–grade, ethanol plants. In 2005, White Energy received its air permit to build in Texas. The first new facility created a destination plant trend that continues today in Texas, California, New York, Colorado, Kansas and Florida. White Energy produces 250M gallons of ethanol in three facilities, the fifth–largest US producer and the largest Texas refiner of fuel grade ethanol. To date, White Energy has deployed over $500M into renewable energy investments. 9, 11, 10 billion??? Which is it Trey? Is it hard to keep those stories straight. officers and directors as of March 31, 1999. Where is our boy Trey / Roscoe Frederick White III???? Evolv MLM Review - What Do Billionaires Trey White, Donald Trump and Warren Buffet Have in Common? 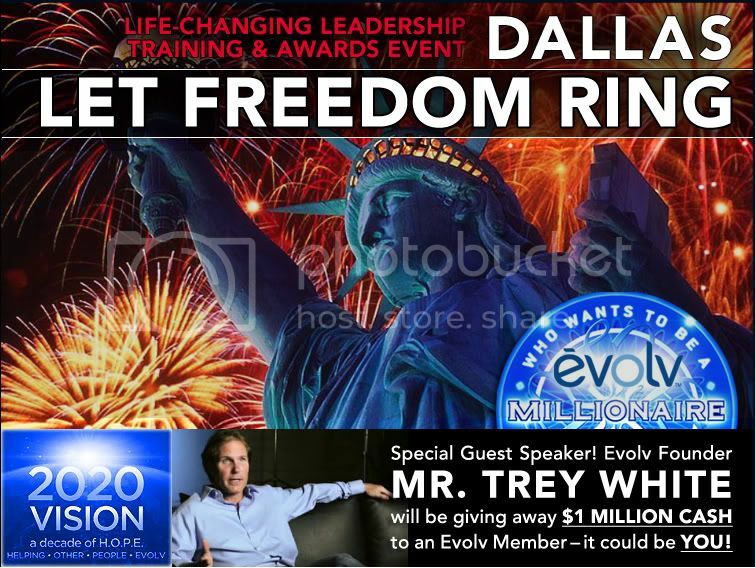 Evolv distributors have never been at a better place in this industry than today with Trey White coming on board as an investor. They will be able to use his billionaire status to support their argument that Evolv is well capitalized and is going to be around for a very long time. The last thing a distributor wants is to waste their precious time promoting a MLM company only to have it go bankrupt from lack of cash flow and management. This will be the crucial selling point that Evolv distributors should capitalize on when giving their business presentation to a prospect or a group of people at a meeting. Think how well capitalized White Energy was. All Trey's bragging and it imploded into bankruptcy and the multi-billionaire Trey White didn't swoop in to the rescue??? MLMs are fly by night ventures by their very nature and the industry seems to acknowledge a 97% failure rate for its independent contractors / reps. Why would the zero water be any different? It is time for some research to see where Trey White made his billions of dollars. Price:From $132,990 to $167,990iNest Rebate:From $1,330 Builder:Holiday BuildersHome Type:Single-Family HomeSquare Footage:2,003 to 3,178Bedrooms:3 to 4Bathrooms:2 to 2.5 Take coupon with you on your first visit. I don't think a handful of cheap tract homes in Forney made Trey his billions. Do you love Fort Worth but want to be close to Eagle Mountain Lake? Well then Cheyenne Ridge is the place for you! Located minutes from 820 North and I-35, Cheyenne Ridge is a wonderful new community off Boat Club Road in Saginaw. Close to elementary, middle and high schools of Eagle-Mountain ISD, Cheyenne Ridge is the perfect community for families of all ages. Featuring History Maker's Lifestyle Series of home designs, Cheyenne Ridge has 3 model homes to visit as well as a multitude of home plans and styles to fit your needs, lifestyle and financial obligations. Come and visit our exciting community today and see how History Maker offers MORE HOME... less money! Living : 1,540 Sq Ft.
Total : 1,540 Sq Ft. Living : 1,640 Sq Ft.
Total : 1,640 Sq Ft. Living : 1,650 Sq Ft.
Total : 1,650 Sq Ft. Living : 1,950 Sq Ft.
Total : 1,950 Sq Ft. Living : 2,300 Sq Ft.
Total : 2,300 Sq Ft. Living : 2,304 Sq Ft.
Total : 2,304 Sq Ft.
3 Bedrooms, 1 Baths, 2 Car Garage. Living : 2,650 Sq Ft.
Total : 2,650 Sq Ft. Living : 2,990 Sq Ft.
Total : 2,990 Sq Ft. Living : 3,300 Sq Ft.
Total : 3,300 Sq Ft. Living : 3,500 Sq Ft.
Total : 3,500 Sq Ft.
Not the stuff billions are made from either. Residents To Bowen Homes: Clean Up Your Mess! On a windswept rise in southwest Dallas, Frank Bracken squints into the late-afternoon sun and sweeps his wiry, flannel-clad arm across the empty expanse of chalky white caliche. This ridge used to be thick with 30-foot jade-green cedar and oak trees, the only species tenacious enough to cling to the rocky ground, their roots holding the soil in place. Today, it resembles the nihilistic work of some profiteering strip miner. Bracken, who owns a farm just south of here, and his neighbors call this land "the moonscape" for its lack of vegetation and stark, white rock. The developer's Web site, though, calls it Grady Niblo Estates—"a peaceful and serene family retreat." Four years ago, development company Marlin Atlantis bought this land, a verdant hill near Duncanville, planning to build a high-end subdivision with homes priced between $250,000 and $500,000. In a series of community meetings in late 2004, Bracken and his neighbors heard promises about preserving old-growth trees and directed the developer to a nearby subdivision—gorgeous, winding streets shaded with ancient oak and pecan trees—that neighbors hoped would be the model for Grady Niblo. A plastic fence separates shady, wooded yards from a once-forested lot that developers of Grady Niblo Estates clear-cut to make room for a new subdivision (above). Trees, apparently, weren’t on the list of things the developers wanted to preserve in the development, which neighbors describe as a moonscape. But in the summer of 2005, a plume of ominous white dust rose from the Grady Niblo site, and before long, every tree was gone. The last to go, says Bracken, was a row of cedar trees that blocked the view from the street; no one could tell what was happening until it was too late. Hundreds of semi trucks carted away the mulched trees. The developer did not return Dallas Observer calls seeking comment. For three years, the land stood empty. Erosion washed silt and rocks into ruts left by the bulldozers, carving deep furrows in the land and choking storm sewers. Today, Phase I of Grady Niblo Estates remains unfinished, with only a handful of imposing brick houses rising from the apocalyptic landscape. There are no sidewalks, just streets and a few driveways. A lone metal street sign, oblivious to its own irony, marks the corner of "Nature's Way" and "Preservation Lane." After the bulldozers left, Marlin Atlantis could hardly make good on its promise to preserve old-growth trees, and Bracken and his neighbors were relegated to demanding that the developer at least fulfill its city-mandated obligation to replant trees equivalent to what it had cut down. The city of Dallas' tree ordinance requires that when a landowner cuts down protected trees—trees of certain species that are more than 8 inches thick—he or she has must "mitigate" for the cut trees in one of three ways: replanting, paying into a reforestation fund or donating trees to the city. The landowner, however, can claim a "special exception" to mitigation if he or she can prove to the city that replanting "will unreasonably burden" the property's use and that taking the exception won't harm neighboring property. Marlin Atlantis sought an exception based on what it said was a prior agreement it had reached with the Dallas city attorney to satisfy its mitigation obligation by donating to the city as parkland a wooded ravine on the western edge of Grady Niblo. Bracken and his neighbors, sick of dealing with silt in their sewer system and the dust rising from the empty land next door, hoped the city would see it their way and deny the developer an exception. In November 2007, the Dallas Zoning Board of Adjustment rejected Marlin Atlantis' bid for an exception from the replanting requirement. In 2008, Marlin Atlantis' lender, Graham Investments Inc., foreclosed on the property, and that August, Graham brought a similar case before the board, whose ruling created a unique mitigation arrangement that attempted to satisfy the residents and the lender. According to Joe Graham, president of Graham Investments, his company has "spent a tremendous amount of time and money trying to do the right thing," including paying out "over $450,000 so far" to bring the property into compliance. The tangible effects of that half-million seem scant: a thin layer of black dirt seeded with grass has been spread to cover the white caliche and slow erosion, and a pitiful line of oak and ash trees has been planted atop a levee at the far end of the property. Several of these trees tremble at rakish angles, their thin trunks no match for the wind that now buffets this treeless plain. Their roots—some of them still coiled in the ball like those of an unplanted tree—are unable to penetrate the hard, white rock and have done little to stanch soil erosion. Bracken says that dirt and rocks still fill the roads and clog the sewers when it rains, and city officials who might monitor compliance with the ruling are a rare sight at the moonscape. Marlin Atlantis ain't the billion dollar special either it seems. Go hug a tree today Trey!